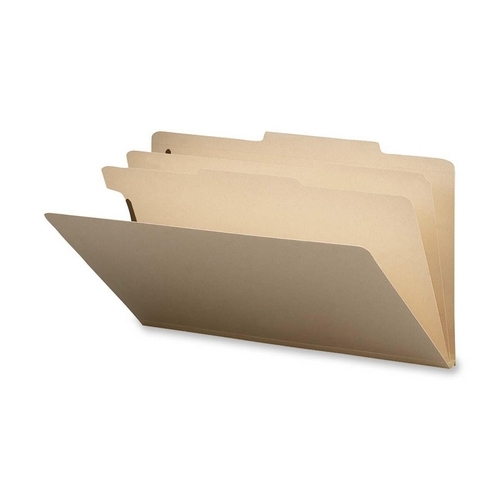 Classification folders are great for project files. They keep information subdivided by category and sequentially organized within one folder. Two-prong fasteners on front and back panels and dividers create separate filing surfaces. Gusset allows 2" expansion. Made of sturdy 18 point manila stock. Plain tabs, 2/5 cut right of center on folders, 1/3 cut on dividers. SFI Certified.